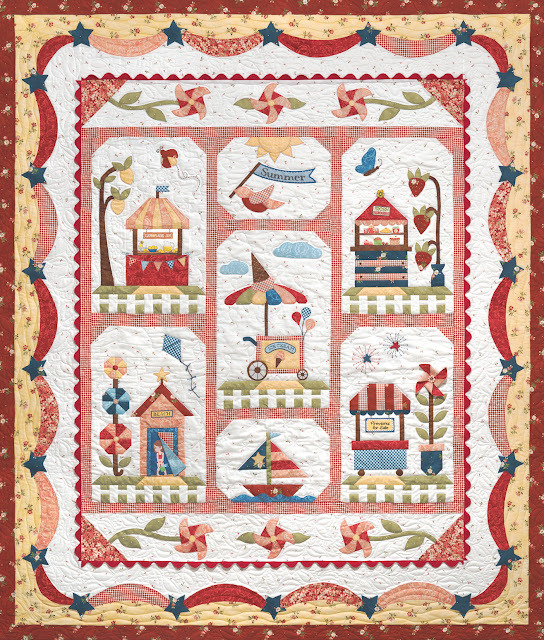 Have some fun with The Quilt Company's latest Block of the Month. 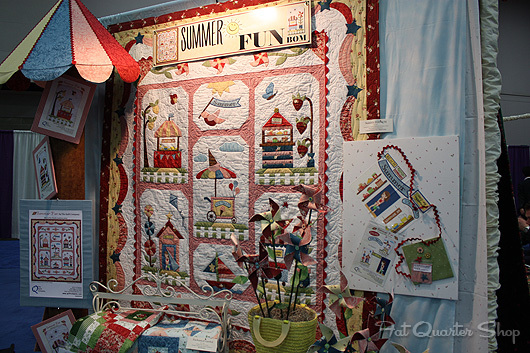 We saw the Summer Fun Block of the Month at Spring Quilt Market and could not wait to begin! Celebrate the hot season with a nod to nostalgic summer imagery by sewing up a block each month from August 2013 - January 2014! 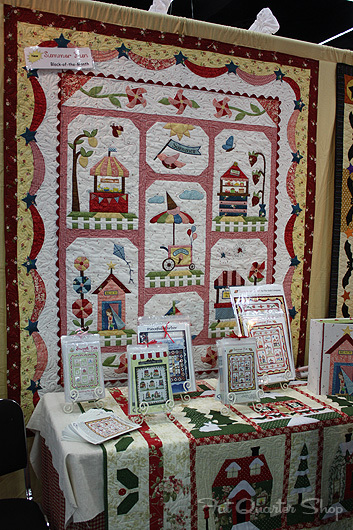 Arlene and Melissa of The Quilt Company are here today to tell us more about the Summer Fun Block of the Month. And remember to reserve your spot today! We get asked a lot “What is your inspiration?” Well, there are a few factors that go into designing a new quilt even before we can think up a new idea. Our first consideration is fabric. We usually try and use a brand new line of fabric that is coming on the market. Once we receive fabric, many times we stare at it for days even weeks trying to see if something will just “come to us”. Eventually we do come up with some ideas that seem like they fit the fabric look (although sometimes not!). We keep an “idea box”, throughout the year if we see something that we like or think might make a cute border, block or color way, we cut it out and save it. We often go back to the “idea box” to help generate new ideas for our quilts. The blues, pinks, reds from My Secret Garden by Marti Michell for Maywood Studio Fabrics were just what we needed to do a “Summer Fun” theme. Blue for water, reds and pinks for strawberries, stars and beach umbrellas! The yellow fabrics are from the “Wild Rose” line from Maywood. We love a red and yellow color combination and those Wild Rose florals are just too beautiful to pass up. We debated about doing a completely beach theme but decided on memories of having ice cream in the summer, running around as a kid with sparklers on the Fourth of July and having fresh squeezed lemonade. We love to add personality to the blocks by designing special fabric for each block. The pieces are included in the Accessory Fabric Packet. We included the little girl in her swimsuit in the Cabana, and the Lemons and Lemonade fabric in “Lemon Twist.” We design these specialty fabric pieces ourselves! We also love to add dimension to the quilt by adding a few very cute buttons and 3D elements like the Jumbo size red Ric Rac sewn into the border! Sometimes people look at our patterns and think that is too hard for them, but our patterns are surprisingly simple. People tell us all the time that our instructions are really, really good, which is so nice to hear. 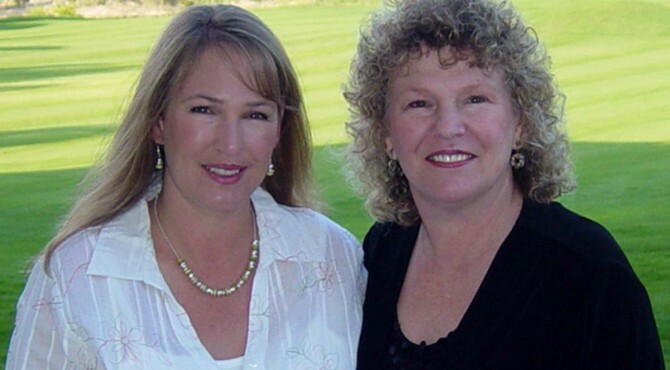 Arlene is an experienced teacher and Melissa produces the helpful diagrams. Bottom line is that we just love to make happy quilts, quilts that make us smile. And we always hope that it makes our customers and those they share their quilts with smile too! Be sure to sign up today to reserve your spot in the Summer Fun Block of the Month!